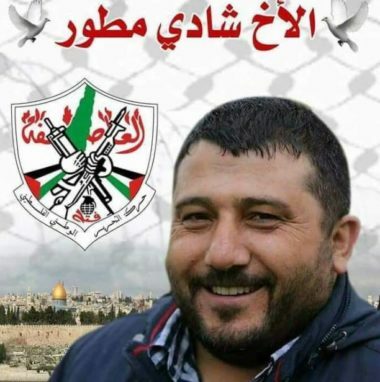 Israeli soldiers abducted, on Thursday evening, the secretary of Fateh movement in occupied Jerusalem, as he was crossing the al-Karama Border Terminal on his was back home. Media sources said the soldiers abducted Shadi Mitwer, as he and Fateh officials from several parts of the occupied West Bank, were crossing back into the country. An Israeli court in occupied Jerusalem will be holding a hearing, Friday, to determine whether to hold him under interrogation, or release him on bail. The army did not provide any justification for abducting him, but Israel has been acting on preventing Palestinian officials, and the Palestinian Authority, from holding any political activity in Jerusalem, and has repeatedly abducted and imprisoned many political leaders, including Jerusalem Governor Adnan Gheith.